Those interested in industrial history and Welsh heritage will be able to discover the sights and sounds of Victorian Blaenavon this spring, with an advanced digital project at the world-renowned Blaenavon World Heritage Site. 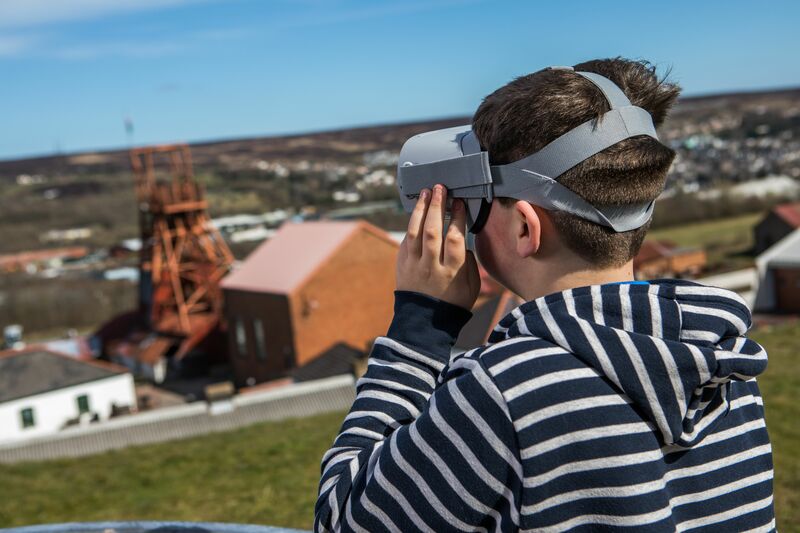 In partnership with Big Pit National Coal Museum, Torfaen County Borough Council launched a brand-new 360⁰ virtual reality experience recently, which allows users to experience life as it was in the Blaenavon World Heritage Site during the 19th and 20th centuries. The Minister for Culture, Sport and Tourism, Lord Elis-Thomas and local councillor, Cllr Alan Jones attended Blaenavon World Heritage Centre to announce the opening of the new visitor experience and unveil the commemorative benches. For more information about Blaenavon World Heritage Site and its new virtual reality experience, visit www.visitblaenavon.co.uk/timetravel, follow @VisitBlaenavon on Twitter or find Visit Blaenavon on Facebook.